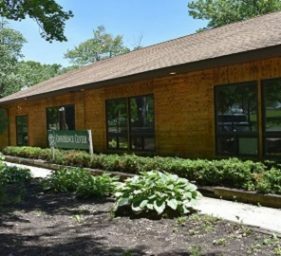 Our Conference Center and events area will make you and your guests feel on-top-of-the world in the beautiful Allegheny Mountain range, surrounded by Eastern Hemlocks, spruce, beech, and a forest of other stunning trees and foliage. Our mountaintop resort is an ideal location for your corporate events, wedding, family reunion, company picnic, retreat, or golf outing. We offer on-site, catering, meeting rooms, and dining areas all located in our secluded mountaintop resort and accommodating 25 to 250 guests. Whether you want your event to be close to nature or a formal affair, at Blue Knob All Season’s Resorts, our experienced event specialist will make sure your experience is uniquely tailored to meet your specifications. Blue Knob All Seasons resort is a great destination in Pennsylvania to work, play, and stay. A prime location to enhance company team building through an array of outdoor recreational activities or indoor meeting rooms, we have whatever is needed for your corporate event. After a day of learning and networking, make sure everyone takes time to relax on our 9-hole golf course before retiring to the patio for some food and drink. 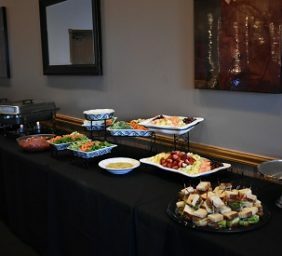 When planning your next event, contact our event specialist at 814-239-1035. We also have an outdoor covered pavilion for picnics and other summer get-togethers, as well as a covered outdoor gazebo. 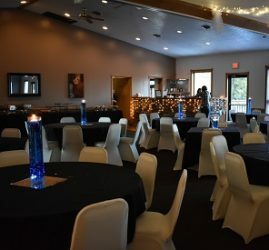 Indoors or outdoors, Blue Knob All Seasons Resort will make your event or party a special and memorable event.